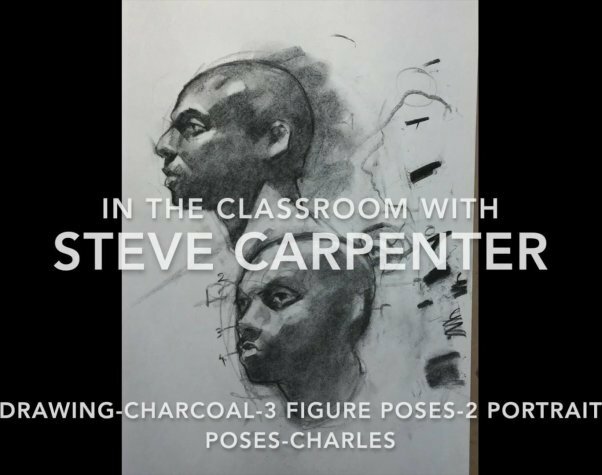 This charcoal portrait video lesson covers essential charcoal techniques and portrait composition techniques. Steve explores some basic methods used to express form. The figurative poses exersizes provide an opportunity to work with pattern, line, value, and composition with quick, loose drawings. With the portrait poses Steve demonstrates tools and tips for rendering profile and three quarter portraits.